For anyone looking to get a haircut in the downtown core, you’ll be hard pressed to find a cooler spot than this not-so hidden gem at Gerrard and Yonge. The entrance is an unassuming door off of Gerrard, leading into a martial arts studio. 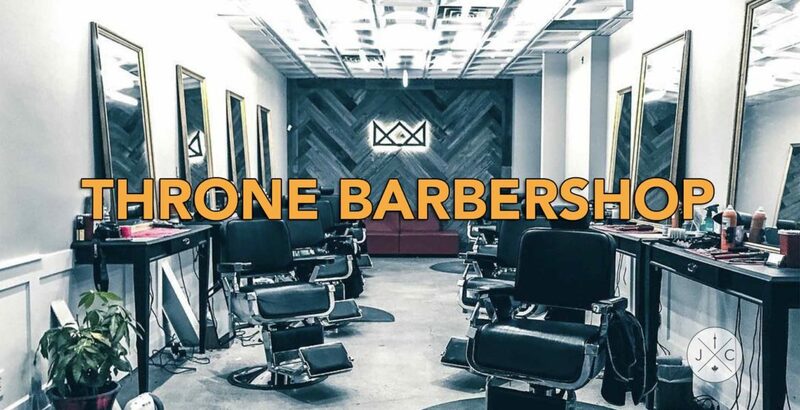 Up the stairs and under the crown (the crown logo is as clean and simple as the shaves and haircuts), you will find Throne Barbershop. The vibe is Drake meets Marcus Stroman, which makes sense considering the array of Instagram posts on the barbershop’s website. The feed features everyday clients, which include hip hop artists and most of the Toronto Blue Jays. This place is both cool and welcoming at the same time. Help yourself to a bottled water from the Throne fridge and sit back and relax as one of the young hip barbers, cuts and shaves you. A haircut will run you around $35 after tax. You can book through the interface on the website, check out your barber’s Instagram and get a reminder sent the morning of your haircut. Treat yourself to an old school haircut & shave in a new school establishment. EST 2013.